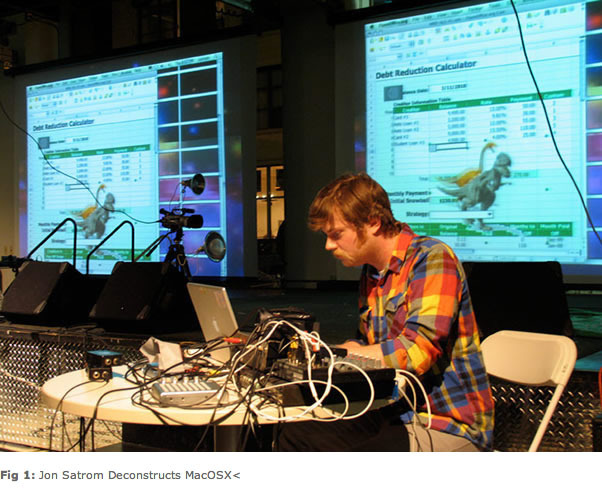 Jon Satrom is an artist, educator, and organizer who problematizes old and new media structures, interfaces, and conventions. He is a kludge artist and a creative problem creator. By day, he fixes things, interviews folks, and creates digital tools at studiothread. By night, he breaks things in search of the unique blips inherent to the systems we use.